InLoox PM 8.2.3 is out now! 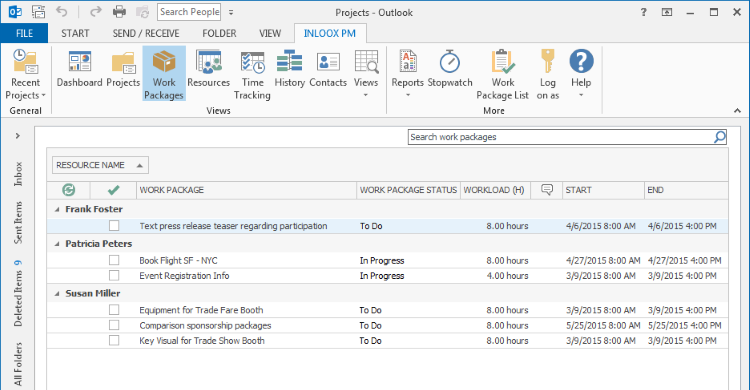 We just released a new version of InLoox PM for Outlook that makes working with the InLoox PM work package and task management feature even more comfortable. 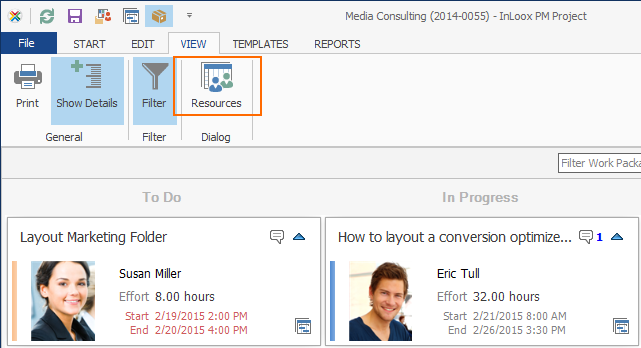 Here are the most important tips and tricks that help you get the maximum out of InLoox PM 8. With the latest version of InLoox PM 8, you can mark work packages as completed directly in the work package list. You no longer have to open the task related project. 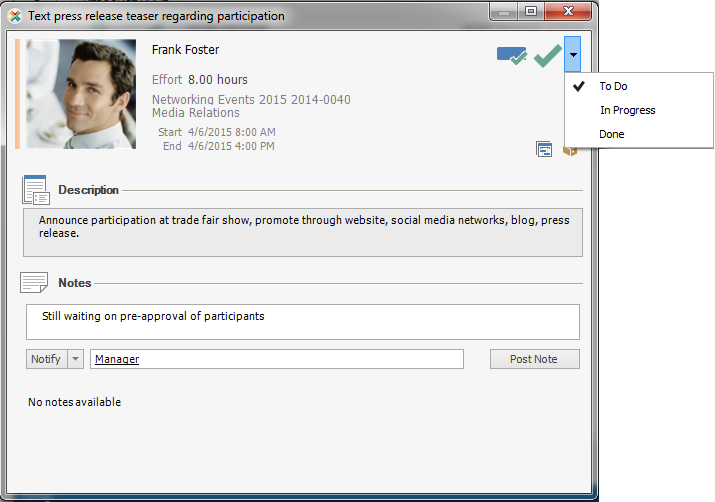 Simply click on the InLoox PM tab in your Microsoft Outlook ribbon and go the Work Package button. To add the Done check box to the list columns, do a right click and click on Select Fields in the dialogue menu that pops up. 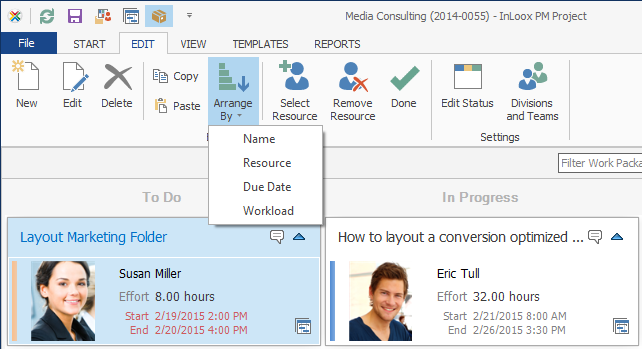 Drag and drop the check box to the work package list and start checking off your tasks. You can also change your work packages’ status without having to open the relevant InLoox project. Double click on a work package from the list to open it. A dialogue box will open and you can change the task’s status. The changes you make to the work package status will automatically be synched with the Kanban board and you can see the progress in your Gantt chart as well. The side panel offers access points for both work package functions. 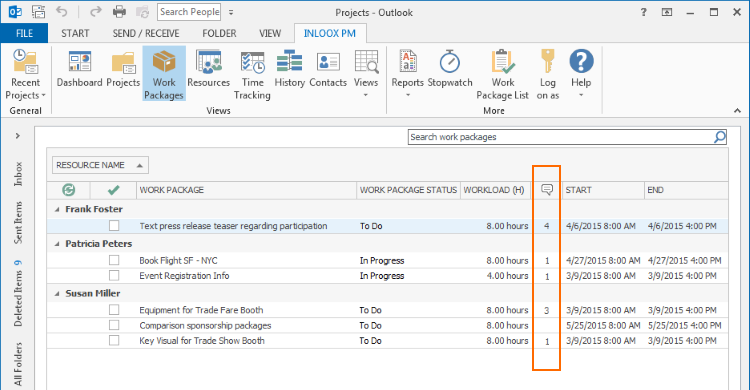 To open the side panel, go to the InLoox PM tab on your Microsoft Outlook ribbon and click on Work Package List in the More section. 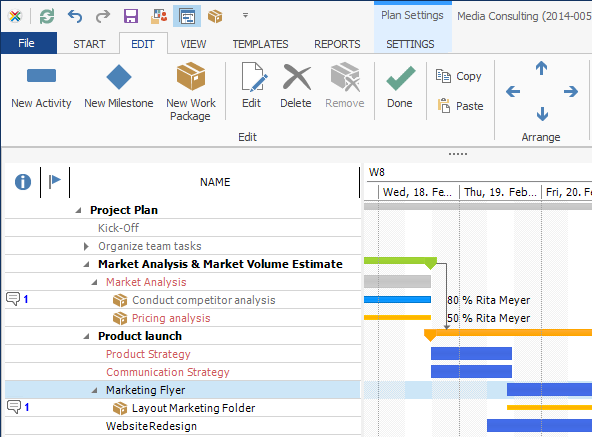 Additionally, you can see the number of new comments on a work package directly in the Gantt chart planner and the work package list. This makes team communication even easier. We strengthened the agile project management features and added functions to our Kanban board feature that increase visibility. You can now arrange and filter work packages in the Kanban view according to name, responsible team member, deadline or workload. Moreover, you can expand or collapse the work package related details for greater clarity. In version 8 of InLoox PM you can access the resource overview feature from within the Kanban board. This way you are always up-to-date on your team’s capacities and that helps you ensure a balanced workload for all team members. If you are a current InLoox PM 8 customer, you can download the latest update free of charge in our download center. Everyone who is not yet working with InLoox PM for Outlook can test the latest version with our free 30-day trial. InLoox PM 8.2.3 is out now! - InLoox • Copyright 1999-2019 © InLoox, Inc. All rights reserved.